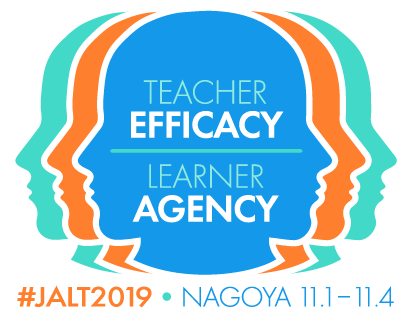 You are invited to take part in the 18th Japan Association for Language Teaching’s PanSIG Conference by submitting a presentation proposal relating to the particular interests of any of JALT's Special Interest Groups (SIGs). Presentations in Japanese as well as other languages are also warmly encouraged. 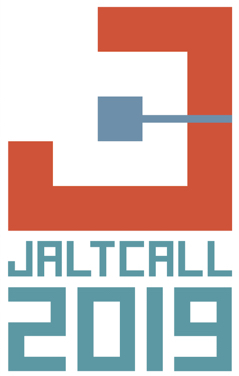 For more information about JALT SIGs and their areas of interest, please refer to jalt.org/main/groups under the SIG listing. Proposals must be submitted by December 22, 2018. Notifications of final acceptance of proposals will be sent via email between mid-February and early March, 2019. Proposals may be submitted from October 1st, 2018 by registering to ConfTool here: www.conftool.net/pansig2019, then providing the information below. All speakers will need to register on the ConfTool website. PRESENTER INFORMATION: Name, affiliation (academic institution or business), email address, telephone number for first speaker and other speakers. FORMAT: Presentation (25 minutes, including 5 minutes of Q and A), Interactive poster session (60 Minutes including Q and A) or SIG Forum (90 Minutes). ABSTRACT: No more than 200 words or 300 Japanese characters. This will appear in the conference handbook and also be read as part of the selection process for the conference. KEYWORDS: Please list 2-4 keywords to classify your presentation. Each person may only submit one proposal as lead presenter and may only appear in one other proposal as a co-presenter or forum participant. If a presenter is listed in more than two proposals, excess submissions may be deleted. Since the whole proposal, not simply one presenter, will be eliminated, this will result in co-presenters being eliminated as well, even if they have not exceeded the limit for proposals.